Hotel was great, room was great. Pool awesome. Activities during the night was great, just check itinerary. 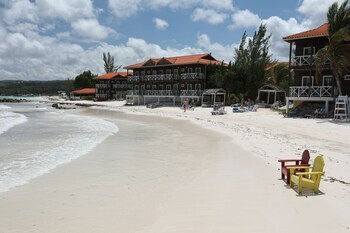 Get a chance visit Negril Woodstock bar. Will visit again. Amazing!!! Food was delicious. Facility was amazing!! Friendly staff. Room smelled of dirty mop water but once we told them, it was fixed. Friendly staff, fun activities, various dining choices. We loved the food, the staff was very friendly and welcoming, perfect location and beautiful property! 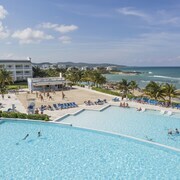 Great Family Resort with Kid Friendly Activities Resort activities and kids facilities are great. Awesome Waterpark and daily kids camp allows for parents to relax while the Resort Kids Camp Staff take care of your kids. A wonderful vacation resort. 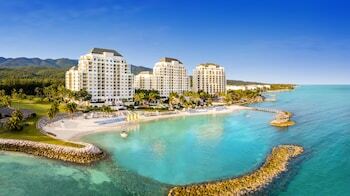 You've saved your pennies, bagged a low-priced plane ticket and you're ready to discover Montego Bay. But how much do you really know about your next awesome vacay destination? It's situated in Saint James, 30 miles from Santa Cruz. 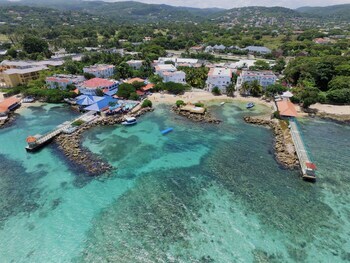 The population of this area of Saint James is around 83,000. Some entry fees are pricey and the art is behind glass — but there are other options. The Widowmaker's Cave and the Civic Centre are renowned for arranging accessible events that are free to attend — why not check out their upcoming programs? Learn a thing or two about the unique world of animals at Rocklands Bird Sanctuary. What's best — it's free! Searching for something that satisfies your hankering for outdoor fun and costs nada, zip, zero, zilch? Look no further than Nature Village Farms. This attraction will keep you amused and entertained at the right price. Do you want to discover a thing or two about the region's story? Averse to shelling out for entrance fees? Take a look around Fort Montego, Indigenous Rastafarian Village and the Creek Dome and get a free and thought-provoking history lesson! Oftentimes the most gratifying aspect of traveling is the little surprises that crop up along the way. Get going to Sam Sharpe Square and find out a few of its secrets! 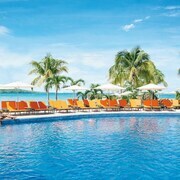 Don't stress over getting the lowest prices on accommodations, flights and vacation experiences. CheapTickets has worked it all out for you, and we definitely haven't made any trade-offs on quality. Personalize your cheap trip by picking from more than 500 airline partners and 500,000 global properties. 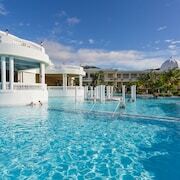 If you'd love to save up to $481, simply combine your booking with a flight and hotel package. You'll always walk off with the cheapest price — it's our promise to you. We'll give you back the difference if you find your package at a lower price within 48 hours of making your booking. That's what we call our Price Guarantee. Low prices and handsome rewards — it doesn't get much easier on the hip-pocket than that, does it cheapster? Simply book your flight with us and you'll save lots on your next eligible CheapTickets hotel stay. So, how does this all work? Simply log in or sign up for free, join CheapCash, and you'll collect savings on all eligible bookings. You'll also be the first in line for fantastically-thrifty perks and bonus offers! Trust us — if you're using taxi cabs to get around while you're on vacation, it doesn't take much time to rack up a sizeable bill. 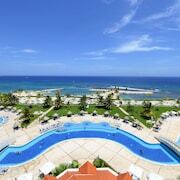 So, why not grab a rental car while you're staying in Montego Bay? Not only will you get more bang for your buck, you'll also be able to drive where you want, when you want! Arrange to pick up a car from the Sir Donald Sangster International Airport area and you can hop off the plane and slide right into the driver's seat. Enterprise and Alamo Rent A Car are two outlets in the vicinity. Renting a car from the city center can be convenient if you're staying nearby. 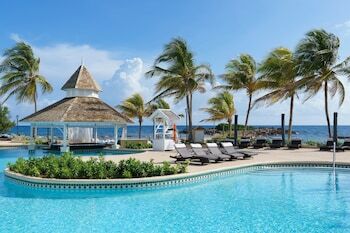 Take a look at Budget, which can be found at Ironshore Montego Bay. Ace at 34 Queens Drive is another outlet you can check out. Don't waste another moment. 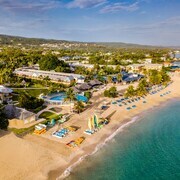 Reserve one of 80 hotels in Montego Bay and begin planning your budget-conscious getaway. 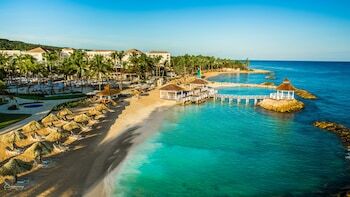 Secure a room someplace cheap like the Sandals Montego Bay - All Inclusive or the Sandals Inn All Inclusive and keep more pennies in your pockets for awesome Montego Bay experiences.